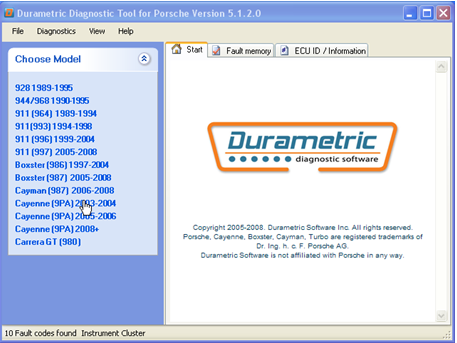 This article show the guide on how to update Durametric Diagnostic software and Durametric cable hardware. You can check for software updates direct from the Durametric program. This process requires an existing Internet connection. Click on the Tools menu option. Uninstall the version of Durametric currently installed. Click the Durametric Software Program link on the Durametric website. Click the Tools menu item. 5. Click Tool Information from the menu.